I have personally used every single Asus device but this one here did not impressed me at all. Sure, at this price point, you can&apos;t get such specs. But there are lots of other options. The build here is nice. Performance is average. And so is the camera. My recommendations? Go look for other device. This is not the recent Asus Zenfone 5 but the previously launched smartphone. At this price point, I would not recommend you at all. Everything about this device is just average. The display comes with lesser PPI meaning you&apos;re not going to get a good experience. The battery is also something which might annoy you. Coming to the performance and cameras, they&apos;re also average nothing extraordinary or even ordinary. 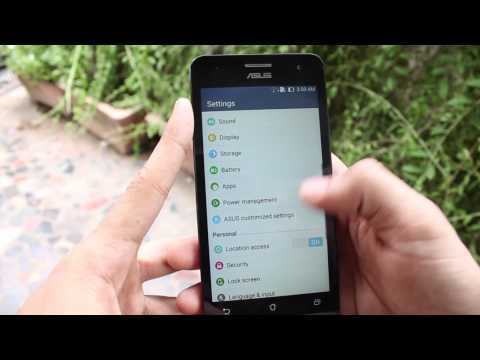 3 Pricebaba users have written their experience with Asus Zenfone 5. If you own Asus Zenfone 5, please do leave your feedback too. Lowest price of Asus Zenfone 5 price in India starts at Rs. 8,499 Asus Zenfone 5 is available on Flipkart at Rs. 8,499. Prices updated on 24th April 2019. Taiwanese smartphone maker Asus has launched the ZenFone 5 in India at an unbelievable price. The ZenFone 5 is a brilliant looking device and the build quality is simply amazing. The phone is a Dual SIM device. As the name suggests the device has a 5 inch IPS display with 1280x720 pixel HD resolution which takes the pixel density to 294PPI. The device is powered by an Intel Atom Dual core processor clocked at 1.6GHz and comes with 2GB of RAM. The phone has internal storage options of 8GB and 16GB which can be expanded to 64GB via a MicroSD card. Asus also offers 5GB of online web storage which is free for life. Asus has a custom interface called the Zen UI and runs on top of Android 4.3 Jelly Bean. The interface is designed in such a way that it compliments the design of the phone. Asus has also preinstalled customized apps that let you calibrate the display. The device has an 8 megapixel primary camera with flash and a 2 megapixel front camera. The phone has a non-removable 2110mAh battery. For more internal storage, one can buy the Asus Zenfone 16GB variant. At this price point, it is going to give phones like the Moto G a tough time.